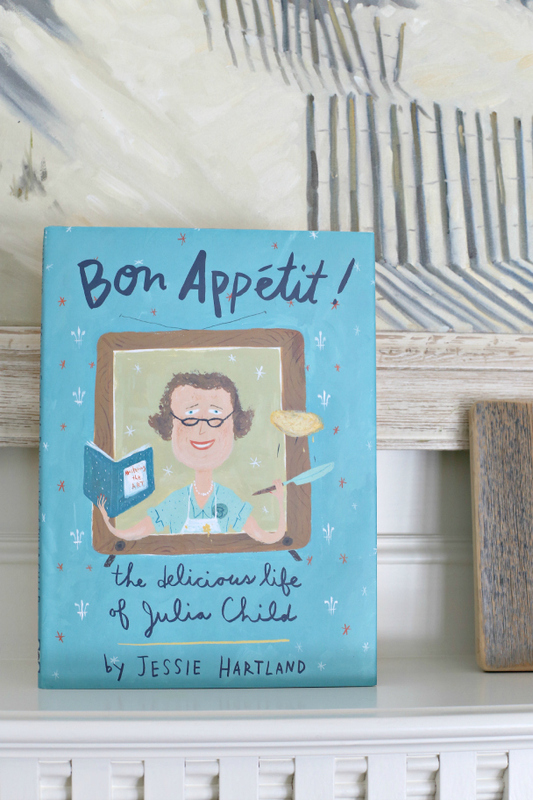 When I found the book Bon Appétit by Jessie Hartland, I was psyched. 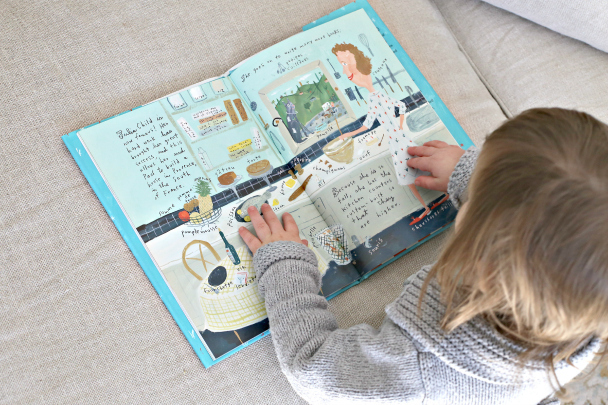 This book is filled with beautifully drawn images telling the story of Julia’s life. This is perfect for my oldest because he is into comics (i.e. Big Nate) and the book consists mostly of “comic like” illustrations. 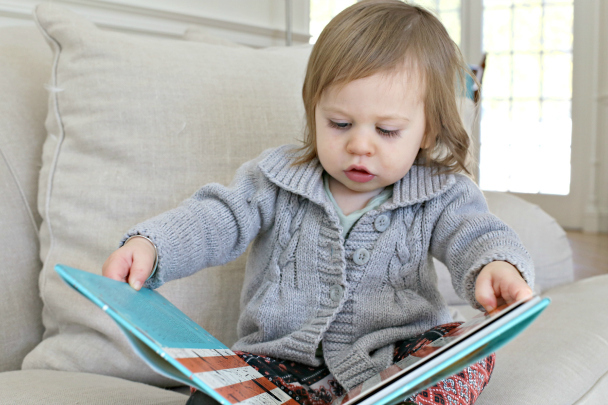 My little one loves it because there are little things that she knows on the pages and can point to, like “pomme!” I love how the book offers some simple French words for things kids will already know like bread, table, apple, etc. I highly recommend checking Bon Appétit out. 1. My FAVORITE book is My Life in France. 2. Julia’s Kitchen Wisdom is a fun books of Julia anecdotes. 3. Dearie is a lovely book about Julia’s life from California, France, and finally in Cambridge. We also have the book Julia, Child which is a fictional story that sprinkles in some fun Julia facts!